Why sacrifice your health to obtain pleasure or wealth? Living in a world without digital screens may be impossible but when you have a digitally effective solution to many issues such as eye strain, insomnia and macular degeneration, the technologically advanced world of today doesn’t look so bad! 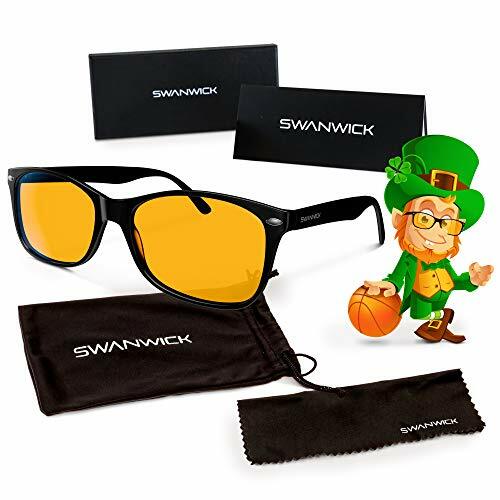 These Blue Light Blocking Glasses by Swannies are one of the most durable and extremely versatile pair of computer glasses found in the market today! They are built with acetate material which is not only environmentally friendly but extremely flexible in nature that it will easily adjust to any face shape it is put on! The orange tinted lenses are among the many specs features in this pair of glasses! Here is a look at what the manufacturers at Swannies have to offer their users affected by digital strain! These Blue Light Blocking Glasses by Swannies feature a stylish black rectangular frame which doesn’t make you look any less cool than when you are in your element! The frame is made from an environmentally friendly material which is commonly used as an alternative to petroleum plastics occasionally employed in the making of most frames. This material is extremely durable, lightweight and flexible hence making sure that these glasses can be easily worn by people with varying head sizes without strain on the temples and nose bone. 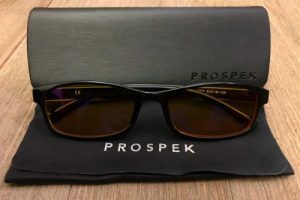 Consequently, the material’s lightweight properties along with the soft nose pads make sure that the glasses can be worn for longer durations without worrying about leaving behind any marks. Perhaps the best feature of the Blue Light Blocking Glasses by Swannies is the orange tinted lenses used to protect the users’ eyes from the harmful blue light UV rays produced by multiple screens. The orange tinted lenses make sure that the blue rays don’t directly hit the eyes and cause vision issues. Moreover, the lenses are made from a scratch resistant glass that ensures longevity as well as allow for easy cleaning when smudgy! 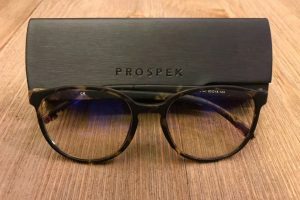 There is also an anti-reflective and anti-glare coating given on the glasses to help the user sleep better by preventing issues like insomnia! The acetate material used in the frames can be easily readjusted in case the frame becomes disfigured after continuous usage or excessive exposure to hear. The organs tinted lenses of the glasses are built to aid sleep by blocking blue light rays which are known for messing up our sleep cycles. 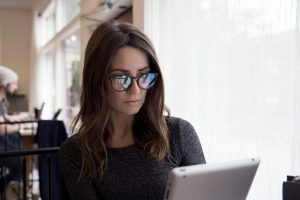 Unlike other digital eyewear, the Blue Light Blocking Glasses by Swannies can be easily worn for as long as the user desires without causing discomfort or stress. The durable and lightweight frame is extremely flexible and can be adjusted to fit the user’s face perfectly or readjusted after long usage. Along with an anti-glare and anti-reflective coating the lenses are also scratch resistant which considerably increases their lifespan. The rectangular frame of these glasses suits all face shapes from round to heart and even long. The glasses are extremely durable. These glasses don’t come with a magnifying frame. A pair of Blue Light Blocking Glasses by Swannies is built to counter the harmful blue rays emitted by screens to protect your eyes against strain and digital stress! The rectangular frame features orange tinted lenses which look extremely classes against the fashionable. By blocking all the necessary blue rays, the glasses make sure to allow enough rays to pass for adequate vision. By doing so these glasses are protecting the user from additional health concerns like headaches, fatigue, insomnia among many more. In terms of size and fitting, the acetate material used in the making of the frame is extremely lightweight and flexible and can be adjusted initially to a perfect fit and later readjusted in case it loses its original shape. Compared to other digital eyewear in the market today, the Blue Light Blocking Glasses by Swannies outperforms many of its counterparts due to its high-quality features and sturdy built! For instance, when compared to the Aspectus Blue Light Blocking Glasses the Blue Light Blocking Glasses by Swannies were sturdier, more flexible and extremely durable in construction. While the Swannies used acetate for the making of the frame, the Aspectus used petroleum plastic which is also not environmentally friendly and known to significantly get damaged if exposed to heat! 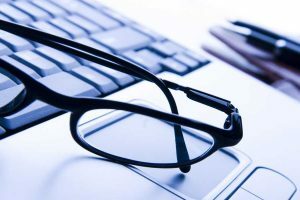 Moreover, in terms of the quality of the lenses used in the Aspectus, they are not anti-glare and anti-reflective which means that there will be considerable stress on the user eyes especially is they are using digital screens in low lit environments. Consequently, the lenses in the Swannies are also scratch resistant which means that they will last longer and can be cleaned easily compared to the Apectus. 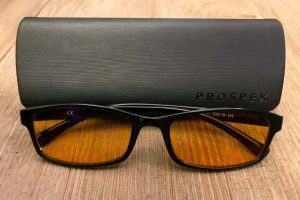 In terms of performance, both pairs of digital eyewear come with orange tinted lenses which help block harmful blue rays effectively without causing macular damage or adversely effecting the users sleep patterns. The lenses are built to ensure that the users are able to sleep undisturbed as well as function easily without headaches and eye strain. 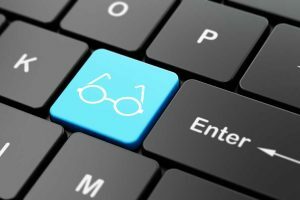 At the end of the day, it all comes down to how durable and versatile a pair of digital glasses are you actually looking to invest in! The Swannies are very flexible and durable in construction hence will last a longer time but if you are an individual that likes to change their glasses every once in a while, then the Aspectus are a good option to consider. While limiting your screen time is a good way to ensure your health, however often there are times when users are forced into spending long hours in front of screens for various purposes. The Blue Light Blocking Glasses by Swannies provides a simple and effective solution against the harmful UV blue rays produced by digital screens today! 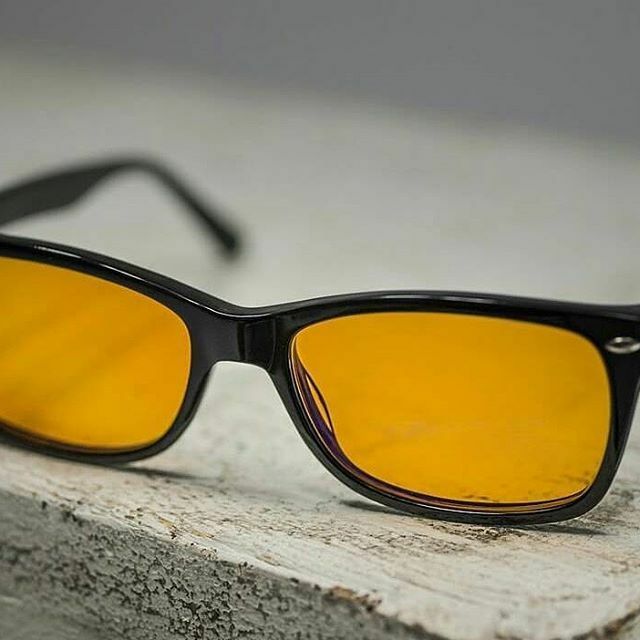 These orange tinted glasses of the Blue Light Blocking Glasses by Swannies protects the users’ eyes from directly getting hit by harmful UV blue rays which can otherwise not only alter our circadian rhythm but also cause excessive strain on the eyes and surrounding areas. The stylish yet durable and flexible frame of the Blue Light Blocking Glasses by Swannies is an affordable solution to help users get a good night’s rest all the while acting as a barrier to protect against blue light exposure!